The history of late '60s / early 1970s rock from England reads like a text book filled with 20th century musical greatness. In Englands post-Beatles landscape, by 1970 the stage was being set for a new brand of progressive music inspired by The Beatles, yet ready to take it to the next level. Bands like YES and Jethro Tull were reinventing the concept of the long playing vinyl album as a musical art form, while, solo artists such as Elton John and David Bowie were both maturing at light speed pace. 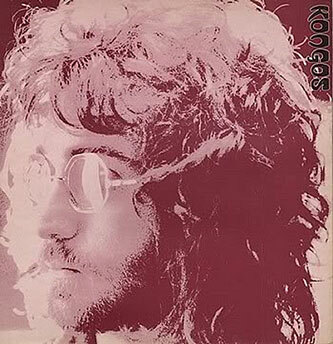 Another U.K. based artist interconnected with both Elton and Bowie was South African native John Kongos. Kongos had made inroads with his late 1960s and early 70s music, yet with international success elusive, something was missing. That crucial missing piece in the Kongos repertoire was found on the 1971 Lp release of the Kongos album. 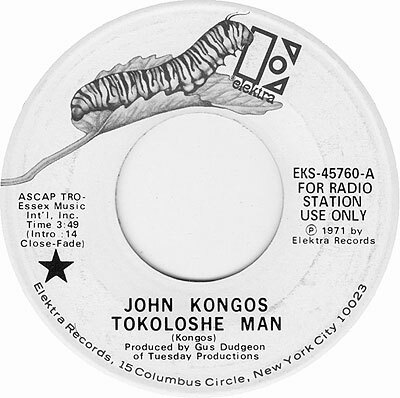 Fortified by a pair of hit singles in Tokoloshe Man and (Hes Gonna) Step On You Again, the ten track Kongos album quickly became a favorite among early Elton and Bowie fans, while carving out a unique and completely original niche all its own. Despite releasing several singles in the wake of the Kongos album, John Kongos soon disappeared from the mainstream pop landscape, leaving rock superstardom for a behind the scenes vantage point that maximized his interest in studio recording and recording technology. 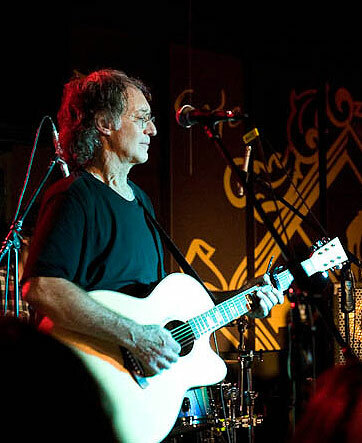 His exit as a contender and big name rock artist was not lost on his fans and, in the decades that followed, Johns name and legacy has always remained a bright spot in the memories of early 70s pop fans. Since those heady days, the Kongos album has been reissued on CD at various points, including an early 2004 remaster of the American nine track Elektra Lp, reissued on the now defunkt, L.A. based Collectors Choice imprint. 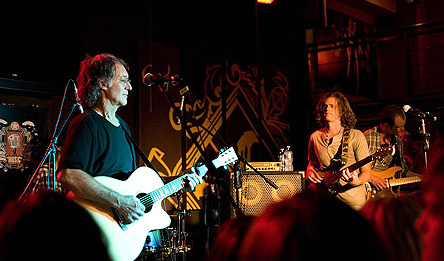 Ten years after, at the time of writing this in 2014, its worth noting that, also in 2014, the prodigious Esoteric label in London has reissued the Kongos album one more time, pairing the original ten track U.K. album with nine singles, collected here as bonus tracks, while also including historically pertinent liner notes by Michael Heatley. Also included in Esoterics 19 track 2014 Kongos remaster are rare pictures of John along with complete lyrics of all ten songs from the Kongos album. Thanks to Esoteric's excellent work as one of the leading reissue labels in the U.K. and in fact, the world today, music fans who want to revisit this vital slice of vintage rock history from late 1971 can pick it up once again. What more could a fan of pop culture history want? mwe3: Whats going on with your sons and is there any news about their band, the Kongos group? John Kongos: Theres quite a lot of news. Nothing really, really big but a few important, little details. One of the tracks from their album, which they self-released via iTunes, Amazon and so on... was picked up by a South African radio station and played extensively and went up the charts on that very important station out there and wound up at number nine. So theres a lot of interest in the band in South Africa, obviously because they spent eight years out there. And also its kind of encouraging because it means that if the stuff is heard, then theres a very good response. In the States, obviously its a question of being heard. Theyve picked up quite a lot of radio play here as well, starting in L.A. on Passport Approved, I think its 103.1 out there, and Chicago and Philadelphia and Portland. These have been some of the more important stations... I think also New York, Albany. And then some European play as well in countries like Germany and the U.K. And theres been very, very good response in terms of reviews... those who have chosen to review the album, yours included. Theres been some really nice reviews. So in addition to that, we just got back. I travel with them, because I do their sound. We just got back from a small West Coast tour, starting at the Viper Room, which they played for the fifth time this last year. And then they played San Diego, back in L.A., Venice Beach and then we went up to Portland. Two of the gigs were canceled, because one of the bands we were touring with had to pull out, which is unfortunate. We were to do San Francisco and Seattle as well but those didnt occur. And then we came back and they did Phoenix and Tucson and that ended that kind of mini tour. So theres been a lot of work, theyve improved enormously live. You know, it really does pay off to go out and pay some dues on the road and it really has shown in the last few months. Theyve improved and audience response has been really great. mwe3: When I played the record, I couldnt help but draw some kind of parallel to your solo stuff. How would you compare it... obviously the genetics and stuff. Sounds like your music had a big influence on the Kongos group. John Kongos: You know, my stuff spanned quite a long time but the thing that came to prominence was when I finally decided, in the U.K. in about 1970, to consciously draw on some of my African roots in the sense that, I really did grow up in South Africa at a time when youd be walking down the street and youd see some and hear some great African music. And then we used to go out to what were then called locations, which was a euphemism for the separate development that was taking place in South Africa, which obviously is known by the term apartheid, which means separate development. And we were not able to access black music directly. You had to kind of clandestinely go and make a real effort to listen to it, which as a teenager I did. So we would go out to places like the South African mines, where a lot of the migrant workers were living. And each different tribe would have their kind of special and unique sound, obviously, developed over the centuries. And, Id kind of took some of this stuff in as a kid. And then in 1970 in the U.K., I just decided to consciously draw on some of that. And it was that, that broke through for me and its what is kind of synonymous with my name... those who know me. So we made also, a slight conscious attempt to make a connection to that. 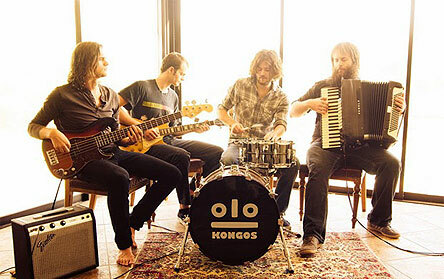 Coincidentally, the name Kongos, which sounds African, has got nothing to do with Africa, in the context of this band. That name, is actually my last name, which is of Greek descent. And again, coincidentally, there happens to be a South African tribe... called Kongos. I didnt become aware of that until two or three years ago, when I Googled the name. So, yeah, there was a conscious attempt to just make some connection to that sound, and also the boys themselves... or as they prefer me to call them the guys, they picked up some of those influences as well, while they were there. mwe3: Obviously, as I told you the Kongos record, the one that came out on Elektra back in 1971 or very early '72, was such a huge influence on me. How would you compare that album with some of your earlier stuff? It seems like that Kongos record did have more of that African rhythms, whereas, some of your earlier music seemed to be more pop. The Confusions About A Goldfish seemed to be even orchestral. 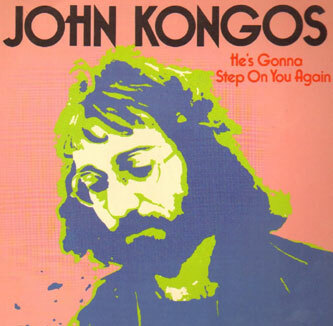 John Kongos: Look... a lot of my earlier stuff, I kind of regret, in the sense that you go through various phases. I was influenced, and not always positively, in the sense that... You know, like a lot of young people growing up, youre chasing your tail, trying to find a way to find a sound to breakthrough and so on. So I was influenced and there was a phenomenon, particularly in South Africa, where a lot of the white South Africans were listening to British music, while the British were listening to Black R&B from the States. So we got a lot of our influence second hand and it was unfortunate. It was only later that I started listening directly to some of the American black music at the time. By that time, it was a little late to enter my soul properly. But a lot of the earlier stuff was really just based on... I mean, for instance, I dont know if youre aware of Cliff Richard And The Shadows. They were a British phenomenon. Cliff Richard was the Presley of the U.K. and he came out to South Africa when I was about 14 or 15. So he became an enormous influence on me. It just so happened that he was just kind of a bit poppy. But you know, it was just various changes that one went through. I have yet, (lol), its a strange thing to say it at this age, but I have yet to really make some records that Im absolutely, totally proud of. mwe3: I remember when the Kongos album, the one on Elektra came out, that was a real pivotal moment in the whole British rock scene. Bowie was just coming up in a big way, T. Rex were coming. You did have such a unique sound in a way. Is there a story as to why you stopped making albums after the Kongos record. I guess Gus Dudgeon worked with you on that one. Is there a main reason why you didnt continue? 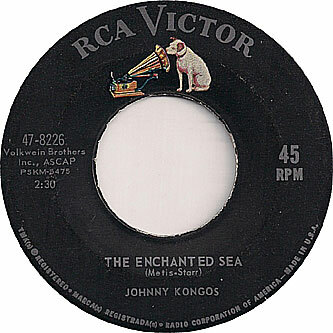 John Kongos: You know, when I went to the U.K. in 66, initially... and then I wound back... I went back and forth from South Africa to the U.K. I actually took a band out from South Africa of three British guys and one Dutch guy and we played around Europe for about 18 months. We made about five singles and we got some fair radio support. John Peel, who was a very well known and important person started to play our fifth record but we had no real success. So that broke up and I decided to concentrate on songwriting at which point I really was just writing songs for anyone and everyone. Id look at the charts and Id say, okay, whos doing well right now?, and I would try to write a song for that person. And almost immediately that I made that decision, I started having some really big European success. I got a number one in Germany, I think in about 1968 with a pretty corny tune which I wrote originally as a kind of Beatle-y type song. Daliah Lavi recorded it. She was an Israeli girl, based in Germany and she did it. She did a really lousy version in my opinion... however it sold a million records within about four or five weeks and it became one of the biggest hits... in fact, it was her biggest hit of all time out there. And then she recorded another song, so I started to finally get a bit of financial freedom and as a result of that, I decide to extend... at that point, I was just using two Revoxes as my studio and Id be banging on suitcases and tambourines for drums. But then, having had that success and seeing that the flow of money was gonna continue for a while, I decided to build a studio. And there were so many people who advised me against it then, saying you cant have a studio in a home. And I said, well why not? And then said, well youll never get the proper sound characteristics, absorption, isolation and all that. And I said, I really want to build a studio. So I did. And at the time that I was building my studio, I was starting to do... In fact, the original demo for (Hes Gonna) Step On You Again, which was the breakthrough track for me, was done in a front room in a small London bed-sit, on two Revoxes, where I literally was playing one guitar on one recorder and bouncing it simultaneously to the next recorder, adding a second guitar and perhaps a vocal and so on. By the time you got to the sixth generation of this, or iteration, of this, you had almost as much hiss as you did signal. And on that particular track, which was co-written with a friend of mine, who was a South African of Greek descent, a guy called Chris Demetriou, who wrote lyrics... We had written (Hes Gonna) Step On You Again as a kind of country protest song... and we were really thinking of the American Indian. Hence the line, Hey rainmaker, come away from that man, hes gonna take away your promised land... It was really in defense of what had occurred to the American Indians. A lot of it was interpreted, and could be interpreted as a protest as to what was going on in South Africa. It applied equally. And we said, we need a rhythm track here. So I made a loop, which was just kind of off the wall. I made a loop of some African noises and sounds and added to them and so on. And it was that, that gave that particular song a unique sound. And that really was just out of necessity because we were... as I say banging on a suitcase with tambourines at time to get a drum sound. Because we couldnt make too much noise anyway in the bed-sit there yknow? So thats basically how that track came about and when I played it to a guy called Graham Churchill, who was my publisher up at Essex Music... coincidentally T. Rex and David Bowie were part of the same outfit. Essex Music was very big in those days. They had people like Joe Cocker, T. Rex, Bowie, The Move, Procol Harum, even some of the early Stones and Beatles stuff. So there was a lot going on up there and when I played that up there, everybody went crazy and everybody wanted to produce it, including Tony Visconti, the guy who produced Black Sabbath... what was his name...? I forgot his name! And Gus. I decided to go with Gus because he just convinced me he was the best guy to do it. Also he had just come off doing the black album with Elton John and his production was excellent. So, we worked together and it was almost an instantaneous hit. mwe3: That was for the Kongos record right? John Kongos: Correct. Well it really started out basically just a single, and then because of the single taking off, we kind of rushed in to of making an album. And to some extent that explains why a lot of the album doesnt sound quite like the single in the sense that I didnt have a lot of lot of tracks that I could do like Step On You Again. Immediately that song went to number three or four in Britain... three and four in different charts. I said hey we gotta get another single going, so I immediately then tried to write Tokoloshe Man, which is what came about. And that was the record that alluded to the first record but then we had to make a quick album and a lot of the stuff sounded more like Elton John than me. mwe3: As cool as Eltons black album, his breakthrough album with Your Song is, I always thought your Kongos album was more rocking. John Kongos: It did have a harder sound than the black album but I think Gus... again and Paul Buckmaster and... I cant remember who some of the other guys were on the black album. But they really made this breakthrough orchestral sounding record which was a classic I think. But definitely Caleb Quaye and some of the other guys from the touring band that Elton was using at that time were a great help. A lot of it was very kind of spontaneous in the studio. I literally went in with the song on the electric or acoustic guitar, and we played it in the studio and we did it for half an hour or something. When we got into a certain groove, we just took it. Its not the way, ideally, I like to record. Since then, Ive been very kind of computer based. I started using computers for recording 1978, 79. Then I got the third Fairlight that ever came about in the U.K. Do you remember the Fairlight CMI? It was the equivalent of the Synclavier at that time. It was an Australian instrument based on a Motorola chip and it was one of the first major sampling computers that came out. The Synclavier was in the States and the Fairlight was in Australia and then subsequently in Europe. The Fairlight was bigger than the Synclavier. And I had the third one in the U.K. I was always a kind of tech geek in the sense that, since I decided to build my studio, I was much more interested in microphones, and compressors, and recording equipment, and so on. And I really was one of these kind of gear lust type people. And still am. But in relation to that album, yeah... Some of it was good, some of it was not as I would have liked. But I guess thats just the way an artist is. Youre never quite happy. mwe3: What did you think of the 2004 Collectors Choice CD remaster of the Kongos album? That was the first time Id ever seen the US version on CD with some cool liner notes too. John Kongos: Yeah! I was very happy with the Collectors Choice thing. It kind of gave the album some recognition, the second time around that it didnt quite get the first time around. The two tracks that were hits in Europe and the U.K. only got to number 62 and about 100 respectively in the American charts. So at that point, when the Collectors Choice came out I thought well thats really nice. Finally, it gets some recognition. And in fact, this year has probably been the best for me in the sense that Step On You Again has featured in the American charts in one way or another... twice, this year. The Def Leopard cover of the track. They did this tribute album called Yeah and they included people like T. Rex and David Bowie and various other of the U.K. acts who were big in the 70s, as their influences. And they included me, which was very nice of them and that album went to number 16 on Billboard charts this last year. And then the Paul Oakenfold cover with Happy Mondays, of Step On, went to number one as best remixes or greatest remixes. And that was actually on the dance charts here about two or three months ago. It was number one for about four weeks. So, its a strange thing that stuff just keeps coming back, one way or another, which is gratifying. mwe3: Its just so amazing the great amount of music that happened here and in the U.K. between 1961 and 1971, which was the golden era of music in a lot of ways. John Kongos: Yeah, its an interesting thing. We discussed this, my sons and I discussed this phenomenon a lot because like any older person (lol) which I now am, youre always saying things are really good those days and so on. I wonder if the young people of today are gonna look back at this time and say music was really great in... 2005 or 2006 or in the 90s, or whatever. I think its a kind of sociological study that needs to be done to try to understand exactly what was going on in the 60s and 70s... but something was definitely happening. It may well have been to do with the drug thing, the Vietnam war, LSD. There was such an expansion I think, of ideas and consciousness, so much energy around as a result of the conflict. And to some extent I think, we started, since the Iraq war, weve started to get into a similar sort of state. I think that youre gonna find that theres going to be an explosion of ideas and energy... new developments, and new paradigms, new thinking. Change and revolution is synonymous with renaissance. And I think the '60s certainly had an element of that. 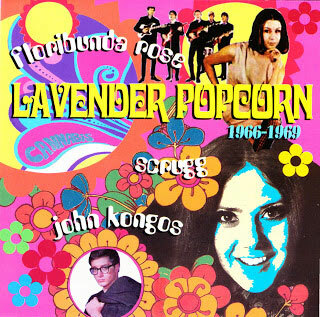 mwe3: I had a question about the Lavender Popcorn, the compilation from 66 to 69 that came out a few years ago. Do you think the CD portrayed your early stuff in a favorable light? I thought it was great. 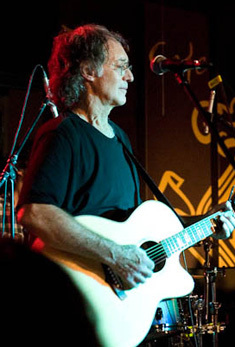 John Kongos: Im criticized by my family and my sons. They say dont put down your early stuff and so on, but the fact of the matter is, most of it I just think is bad. I dont like it much. I did it at the time and I must have thought it was a good idea at the time. But in retrospect, I think it was weak. Its difficult to know why exactly. There were so many things going on. In fact, some of that Lavender Popcorn stuff, really they were meant to be demos. They were recorded as demos and some wise guy at the various record companies decided to capitalize on whatever name I had, and put some of that stuff out. I dont rate it much, thats the bottom line I guess. mwe3: Even before you left South Africa, you had recorded some stuff, with I think The Bats. John Kongos: No, The Bats were friends of mine. They were a South African band and I knew all of them and we hung out together and then they came out to the U.K. and we hang out there and so on. They were good friends but we never actually recorded together. Subsequently, my guitarist in the band called Skrugg, Floribunda Rose, which was that kind of 66 / 67 U.K. period, he went back to South Africa and joined The Bats. But thats the only kind of direct connection with The Bats. But I never worked with them. 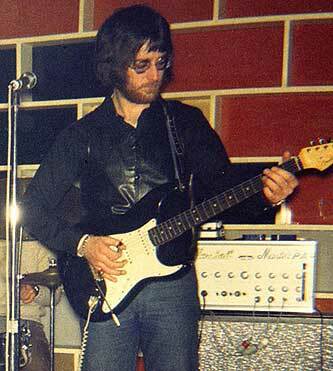 But I did have a band in the early 60s, which I formed in school. Originally it was called The Dukes and then we changed the name to the G-Men. So it became known as Johnny and The G-men, which... literally we were doing early 60s American / British pop and also we were playing a bunch of instrumentals like The Shadows and The Ventures in America. So, a lot of guitar pieces. That was a very enjoyable time for me because it was simple and it was easy. We used to make albums in literally like nine hours in those days. So that was nice. It was spontaneous and I had a great time touring South Africa because we had hits and crowd response was great. So, that was my introduction to the business. mwe3: Yeah... Interesting about the South African scene. I think you were the only artist to evolve out of that scene. What about other South African artists? 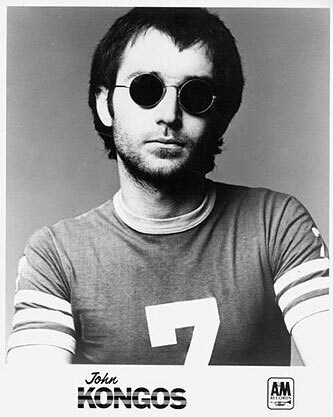 John Kongos: I dont know if youre aware that Manfred Mann is South African. He was directly out of South Africa. To my knowledge, he may have played universities and things like that cause I think he was in university at the Johannesburg main university in South Africa. And I think he was playing a kind of jazz thing at that time, which was not really big in South Africa but then he left for the U.K. and he formed Manfred Mann and he had enormous success. But of course, he was not the singer and very often not the writer of a lot of that stuff. 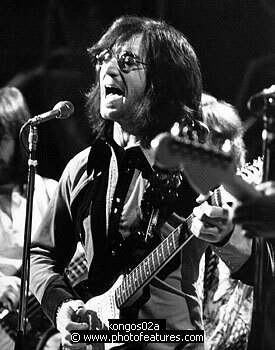 Paul Jones, I think was the first singer in Manfred Mann, who was English. But he certainly was a South African success, later. Trevor Rabin is the guy who joined YES and is now big. Hes a very good guitarist, composer... he does a lot of movie stuff. Hes big in L.A. at the moment. I think the biggest thing to come out of South Africa, in the music business is Mutt Lange, who I worked with and who is a friend. I did the drums on the Fairlight for Pyromania, which was the Def Leopard album. He became one of the biggest producers ever in the world. And he came out of South Africa and is a big songwriter as well, obviously. And then the biggest guy in the music business almost bar none, is Clive Calder, who formed together with Ralph Simon, both of whom are friends particularly Ralph Simon who Im still in contact with. Virtually no one is in contact with Clive Calder. Hes like the Howard Hughes of the music business. He formed Zomba in South Africa. Jive Records and Zomba. And then they came to the U.K. and they started to get some success there, together with Mutt. And then that became one of the biggest independent record companies in the world and was sold about five ago, for in the region of three billion, with a b, dollars. So Clive became, in fact Clive is a billionaire and is the so-called richest personality in the U.K., although, as I say, the history is somewhat more complicated than that. But he was responsible for the big things that happened here in the pop world like Back Street Boys, In Sync, Britney Spears and a lot of the Jive Zomba stuff which is going on now. One of the most astute and dedicated people that Ive ever known. mwe3: So are there any other archival things that... well then again you didnt sound too thrilled with the Floribunda Rose stuff. John Kongos: Again, probably no. You know I have a backlog of about 150 or 200 recordable songs. Theres probably more than that. I could probably get three or four or six albums out of what I have. And its always my intention, in the morning that is, when I wake up, to get some of that done. By the evening, Ive not got it done and then I have to wait for the next day to get that impetus again. But I always want to do it better and better means the next time I do it rather than the last times I did it. So, a lot of that early stuff... you know, I dont know... maybe it has some value for the time and for the people who were there at the time. Certainly it was fun but from the perspective of archival and recording quality and so on... it doesnt mean much to me. Im not being overly humble, its just that I dont think its that great. mwe3: I was just looking on Amazon and I found a copy of the Kongos album on import, are you familiar with the Kongos album from Germany on Repertoire? John Kongos: Im not. I dont know what new stuff or different stuff there would be on that. I would have to check that out. Im not sure of that. I will check it out. mwe3: It says the CD has 3 bonus tracks. Theres one called Shamarack? John Kongos: Oh! (lol) Yeah? Well, Ill tell you about Shamarack. 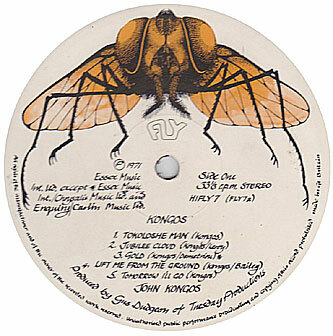 That was actually recorded... it was put on the b-side of one of the records that I made for Fly, which was the same label for Step On You Again and Tokoloshe Man, the album and so on. It was one of the first things that I recorded totally in my studio in London in I dont know, 70 something. And I played everything on that to my remembrance and I put that on a b-side. Theyve subsequently added it to various compilations. 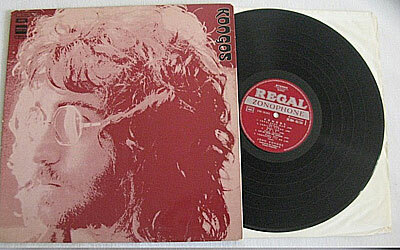 It was also recorded, although not yet released, by Mary Hopkins, who was Tony Viscontis wife at the time. And of course, Tony Visconti is the guy who produced Bowie, T. Rex and so on... And he and I at the time were good friends and he subsequently built his studio because he used my studio quite a lot. She recorded that song, not yet released. And she also recorded a song called Sometimes Its Not Enough When You Use Only Words, which was the b-side to my Step On You Again. So Shamarack really was just a kind of quick b-side that I did. mwe3: And then I saw listed in this release there was a single version of Tokoloshe Man, I forgot Lol Coxhill was playing on it. Is the single version different from the album version? John Kongos: It was basically the same track. It was a different mix. For the album version, we left a lot more of what Lol did on the track, which I particularly liked at the time. I dont know if youre aware of Lol Coxhill but he was a very strange, interesting guy who used to, in addition to doing sessions, he used to busk on Londons streets and youd often see him outside Leicester Square or Picadilly Circus just playing his saxophone. And we really loved what he did on Tokoloshe Man. I told him to be as free and not think in terms of rock, but to think in terms of jazz and Eastern and so on... I said just to be as free as you can, do what ever you like. So we let that track go on for about five minutes and the album version included as much as we could of the Lol Coxhill stuff, whereas the single needed to be treated more like a radio playable single. That was the main difference. mwe3: Im still looking at this CD. 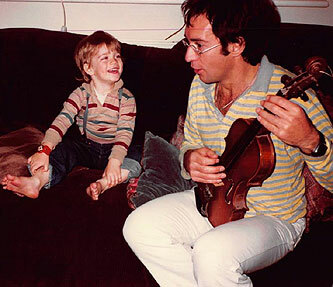 Was the song In The Music the same song on the Kongos album by your sons CD? John Kongos: That doesnt have anything to do with me, other than its a song that my sons had done. I dont know... that should not be on any of my compilations. John Kongos: You say theyre listing In The Music? mwe3: And I think theyre putting it in, this looks like your sons record with Trouble Is. Isnt that from their album? John Kongos: Yeah, thats their album, not mine. You know, there has been some confusion, and I suppose its our own fault. There has been a little bit of confusion because my album was called Kongos and of course their first album is called Kongos, because thats what theyre called. Its their eponymous debut album. So theres been a little bit of confusion. iTunes for instance lists their album as having first come out in 1998, which is completely wrong. It was first released in 2007. And were trying to get that rectified because it looks like an old album on iTunes when in fact its really a much newer album. We have tried to get it rectified numerous times and they just havent updated that information. And then there are some confusions from different sites, perhaps Amazon as well. I guess thats inevitable if you use the same name for an album. But interestingly enough, when I released Step On You Again, having been a hit in the U.K., it was picked up in France and it became the biggest foreign hit that year. And before I had even recorded my album, a French group called Kongas, as opposed to Kongos, released an album and capitalized on my (lol) record out there... which was interesting. mwe3: And Im looking at the See For Miles CD, Tokoloshe Man Plus, theres only one of them available and they're selling it for eighty dollars. John Kongos: These days, my old stuff is largely out of my control. A lot of the people are dead and gone to be honest with you. Those that Id originally signed with. David Platz, who was a great British music publisher, who was the head of Essex and then subsequently, the head of Fly Records and so on, who as I previously mentioned, had so much to do with the success of so many of the 60s and 70s artists out of the U.K. He died about fifteen years ago. His son now runs the company called Bucks Music in the U.K. Gus, as youre probably aware, died as well. And what happens to the catalog becomes a kind of legal and estate issue and things are signed off into various directions. So, because I never had ownership, I only get royalties on most of my early recordings. I do have some ownership in publishing because I arranged that subsequent to the hits and re-negotiated my contract. So I do have some ownership of the publishing but the actual recordings are out of my control, so who puts what compilation together is not really my affair. Im usually aware of it after the event. mwe3: Even with the 2004 Collectors Choice reissue? They had to go through Elektra to get that album right? John Kongos: You see I signed with a company called Tuesday Productions, which was Gus Dudgeons production company together with David Platz. They co-owned that company. Then we signed various distribution and label deals with numerous companies around the world. We didnt go with one company for the world. We were with one company in France, we were with Fly in the U.K. and with Elektra in the States. Germany was a different company and so on... By now, after all these years, its even more complicated because companies come and go as do people. So that stuff is just kind of floating around with different ownership. But the Elektra was one of the simpler arrangements in the sense that it was signed directly with Elektra and Jac Holzman. To my knowledge, they still have ownership of all of that. mwe3: I was disappointed they didnt have you on the five disc Elektra Records box set called Forever Changing. John Kongos: That would have been great to be on but I suppose they did that on the basis of what was really known in the States as opposed to what was known in Britain and Europe. My name has never been big in the States, even at the height of my U.K. and European success. The Americans were largely unaware of me and unfortunately, while I think Step On You Again and possibly Tokoloshe Man should have been hits in the States at the time, the timing of things was not perfect and I dont know exactly the reasons it didnt happen, but it didnt. So that would be justification for not including it on that Elektra compilation. mwe3: Didnt you also do a soundtrack with Stanley Myers? John Kongos: Oh, yeah. Ill tell you what happened. Allen Klein, who would be Beatles and the Stones manager and then just later, some of the Beatles. Youre aware of Allen Klein I presume? 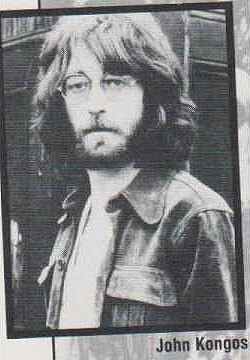 He started Apple, together with The Beatles, they started Apple Records and later he had ownership of most of the Lennon stuff and some of the earlier Beatles stuff and so on. There was a break between McCartney and Allen Klein. They didnt like each other apparently or certainly McCartney did not like Allen Klein. But anyway, Allen Klein picked up a property called The Greek Tycoon, which was book written by a guy called Nico Mastorakis. And Allen took that to David Platz and said, Im going to make this movie, you put the music together. So David Platz was my publisher and he put it out to me. He said, amongst others, they put it out to all their writers, all their people. He said, See if you can write something for a taverna scene in this movie The Greek Tycoon, which was about the life of Onassis and Jackie Kennedy and so on. And I wrote this instrumental piece, which was used during the filming of the Taverna scenes. And what happened was that, everybody on the set fell in love with the tune and they started to say to each other and to Allen Klein and to the director and so on... that should be the theme for the movie. And it turned out that it became the theme of the film, so as a result of that one little Taverna scene that I wrote for, they wound up using sixteen minutes of that same tune in various forms throughout the film, including front and back titles. So that was good. Then they spent in excess of a hundred thousand pounds, which in 1977 was a lot of money to make an album. They spent a hundred thousand pounds recording the music, various pieces of music by different people including Stanley Myers and Mike Moran, various other artists. And then they never released the album, which was madness. I just dont know why they did that. So I get a lot of requests by email and via my websites and so on, to make available, The Greek Tycoon theme, which is picked up by a lot of people who just like Greek music. You go to Greek tavernas around town, or in L.A., and people are actually playing that tune, which is gratifying for me but theres no real recording available of it. I will make a recording available because I think it deserves to be out there. John Kongos: Of The Greek Tycoon? John Kongos: Oh, The Blind Date! Now, The Blind Date is a separate thing. 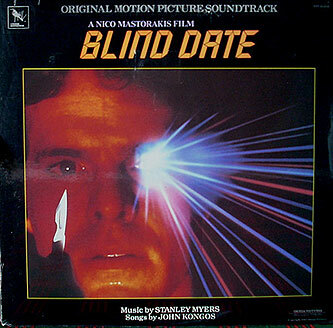 The Blind Date soundtrack was again the same guy Niko, I see youre Googling! (lol). The Blind Date was a movie that was made by Niko Masterakis, independently, and this was after The Greek Tycoon. Because I had done the theme for that movie, he came to me and said, would you like to do all the songs for this next movie? So I said, sure, thatd be great. So I recorded all that stuff in my studio for that film. I did it on a non-exclusive basis in the sense that I gave him those songs only for the movie and for that particular soundtrack. I can still use those songs, and have ownership of those songs separately. I cant remember how many songs there were on that album. There were some nice songs in fact, on that album. mwe3: Youre talking about The Blind Date soundtrack. John Kongos: Thats The Blind Date soundtrack, correct. mwe3: Stanley Myers... he actually did some of that Greek music with John Williams... the Theme From Z.
John Kongos: Yes, thats right. You see John Williams, and just for whoever reads this or hears this... not the John Williams, the big American composer but John Williams, the classical guitarist in the U.K. He was intimately connected with the David Platz / Essex Music organization and he was considered to be about the best classical guitarist in Britain, so thats the John Williams to whom you refer. mwe3: So The Greek Tycoon and The Blind Date are two Kongos related things and neither of those soundtracks are available? John Kongos: Well, The Blind Date soundtrack... I cant remember if Masterakis had that released as a CD. I cant remember. I think it was available. 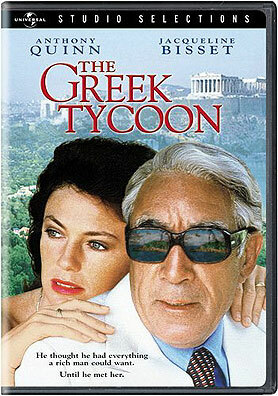 The Greek Tycoon was not available in any form. And again, in spite of the fact that they spent a hundred thousand pounds recording it, which (lol) I t hink that if they were to release the theme from The Greek Tycoon right now, not all the music, theyd actually sell a few copies. Because people buy soundtracks of old films. And that film stands up better now than it did when it first came out, I think. I was very happy to be associated with what ever happend. mwe3: So you say you have about a hundred songs or so... do you ever get the urge or the inclination to record another record? John Kongos: Well Im actually sitting right now in my office and Im surrounded, literally by shelves and shelves of tapes and books. Im not in the studio. I pulled all my old Studer machines... Ive got a Studer quarter inch, a half inch and a two inch machine. I still own these machines and the reason I have them is because Ive got about eighty multitrack tapes which need to be digitized before I can dispose of the means to play them. There is a lot of stuff that I started in the 70s, 80s, 90s as demos or as prospective masters which Ive got on multitrack tape. And which its my kind of daily intention, although as I say, I dont fully complete everything I decide to do, to digitize those, remix them and add to them and perhaps put them out in some form or another. Everybody else is putting out my old stuff, I may as well have some control as to what actually goes out there by examining some of my own older stuff. Then, Ive got a whole bunch of stuff that I just never recorded. So, I dont know. I may get around to it. I hope I do. mwe3: I also wanted to ask you how and when you made the move from the U.K. to Phoenix, Arizona? John Kongos: Yeah, the full story is that I was born in South Africa and then I left in the 60s to go to where it was really happening. I had a very successful career in South Africa and at the height of that I was taken into the South African Air Force compulsory as were many people, into the army, navy and the air force. I spent nine months in that and that kind of interrupted my career. And then when I came out I decided that I should probably go to the U.K. where The Beatles and the Stones and everything was happening. And I did that and finally learned that, after living there for 22 years... and I had a wonderful, I loved London, and I loved the U.K. and eventually became a citizen. And then I met my wife, who is American. She was only 19 at the time. I was 31 and she spent 12 years of that time with me in the U.K. during which time three of my sons were born. And then we had a fourth son on the way and we decided to out to South Africa because we were getting a little tired of the rain and sleet and snow. And we decided that the kids needed some sunshine and outdoor life and so on. So we went back out to South Africa, we thought for a few years but it wound up to be eight years. And then in 96 we came to Phoenix, which is where my wife was originally from. And we had visited here many times and we liked it, it was open and it was hot and we decided it would continue to be a good place to bring up kids. So we did that. Came in 96 and now were considering, weve talked a lot about moving to L.A. just to be more in the business, because theyre now grown up, and they want a career and have a career and they want to improve it. So thats the kind of full story. mwe3: I've got to compliment you on your sons' album. Obviously, they have a ton of talent. John Kongos: Yeah, theres gonna be a lot of concentration now on singles because the music business, as Im sure you know as well as most of us do, that the music business has just gone into a complete paradigm shift. Nothing is as it was in the 70s. Its a different animal completely and its very difficult to sell an album these days. So we feel that it is imperative that they make a single breakthrough with something that is really radio-playable. Because ideally, theyd like to continue to record stuff that they really like with extended solos and all kinds of influences and so on. They also have quite a jazz bent so theyre quite musical and they have all these different influences, but we feel thats its going to be necessary to kind of spear head all of this with some radio breakthrough single and then everything else that they do will be much more acceptable and people will give them more time. There seems to be an emphasis these days on very simple. We think that a lot of stuff thats coming out is very same-y and they certainly dont want to fall into that trap but there are a few singles on the way. mwe3: I always wanted to ask you about the Kongos album and your sons CD too so Im glad we had a chance to do this interview. Any last updates or other words about working with your sons in the KONGOS band? John Kongos: I think the main thing thing that I would say is that when KONGOS is around or in your town, go and see them because theyre a great band. Their live thing now is just so good and if you like music and if you like solos, theyre a great band to see. And there will be a lot more of them and a lot more about them... and when they break, I think they will break very big. Basically thats for me, the main thrust at the moment and certainly for them its the main thrust. Ive kind of had my time in the business although I hanker occasionally as I say to make a statement, which I think would be a much more mature statement now that Im so much older and been around so much. So again, if I get around to that, great. But certainly theyve got enough energy and musicality to be around for a long time.